To most, yesterday’s newspapers, used stamps or emptied pay envelopes are trash. But they can become pieces of history when collected over a period time, even more so in the era of digitalization. Song Sang-cheon, Lim Il-tae and Lee Chong-chan -- three unrelated men in their 70s -- have one thing in common; they each have a hobby of collecting a certain type of item for more than 50 years. 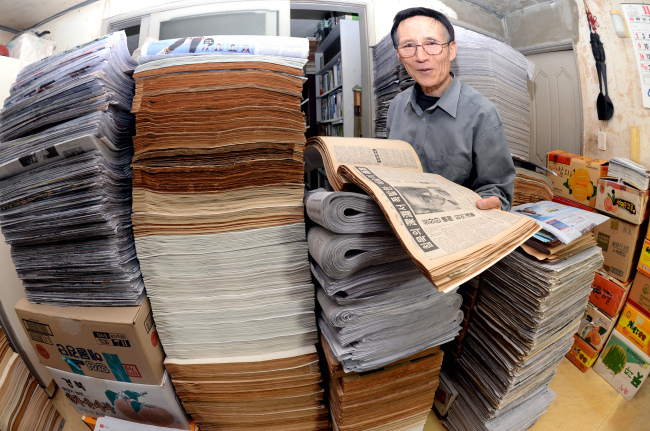 Song Sang-cheon has been collecting newspapers and periodicals since he was 15 years old. His house has yielded most of its space to his collection, leaving only maze-like pathways. His collection could stand up to 14 stories high if put in a single pile, says the 73-year-old man. 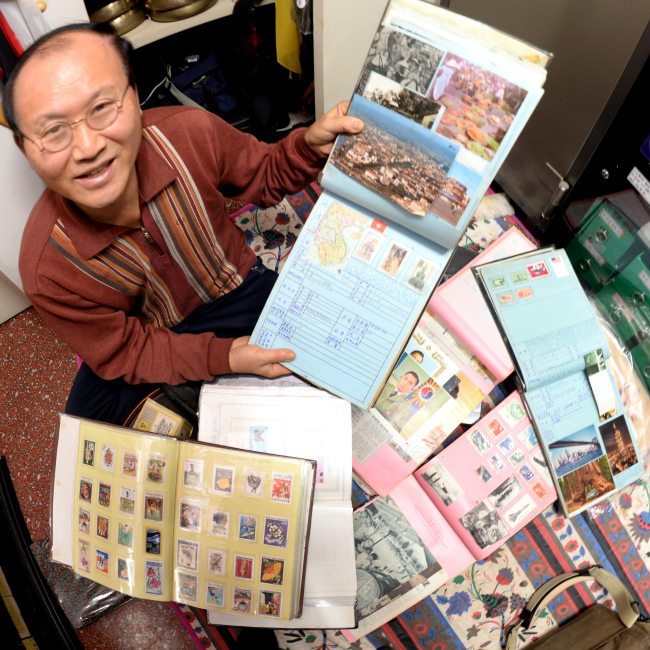 “You could learn a lot from collecting an item for a long time,” Lim added. These days, one’s wages are automatically transferred to a bank account and the details can often be checked on the internet or even via a smartphone app. When Lee Chong-chan, 74, got his first job as a government employee, his monthly salary came in a pay envelope. 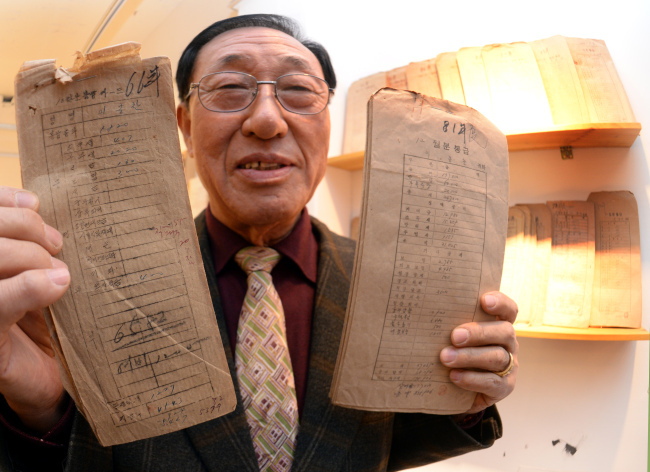 The envelope contained details such as his first income being 5,820 won ($5) in 1966. The envelopes are a candid illustration of how his salary has increased over his 40-year career, reflecting South Korea’s fast economic development.